GoXtra News: Big Brother Africa Season 8 Auditions announced! Big Brother Africa Season 8 Auditions announced! In less than three months, new Housemates will be revealed in Season 8 of AfricaMagic’s Big Brother Africa and one of them could be you. Following an overwhelming entry response from the 14 participating countries, AfricaMagic is happy to announce that the Audition phase has arrived and you stand a chance of being a Housemate on of the most successful television series on the continent. Auditions for shortlisted candidates in Nigeria will take place at Protea Hotel Leadway in Lagos on Monday 11 March to Thursday 14 March from 09:00. However, if you were unable to enter online or submit the entry at your nearest MultiChoice office, the good news is that there is still an opportunity to enter through the Open Auditions on the same dates, venue and time. The Open Auditions allow individuals that were unable to enter before entries closed one last chance to impress the selection team. All you are required to do is fill in the entry form which is currently available at your nearest MultiChoice office, then make your way to the audition venue where a production team member will assist you. Remember, entries are only open to persons over the age of 21, who are citizens of one of the participating countries and who either have a valid passport or will be able to obtain one by the end of March. Producers are looking for persons who are fluent in English, entertaining, open-minded, adventurous, bold and passionate about the Big Brother experience. Importantly the selection team is looking for qualities of tolerance, determination and enthusiasm. 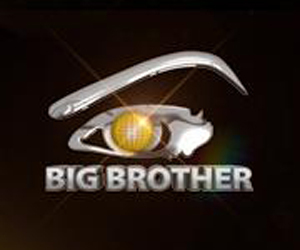 Having recently reached 1 million likes on Facebook and currently sitting with over 285 000 Twitter followers, these interactive platforms are amongst the many ways that audiences will be kept updated on all the latest news on the eighth season of Big Brother Africa, leading up to the 26th of May when new Housemates will be revealed to audiences in 47 countries across Africa. The prize money of USD 300 000 is up for grabs to the last Housemate standing, will it be you? LIKE our Facebook page Big Brother Africa and follow us on Twitter : @BigBroAfrica.